Watercolor Works: Happy New Year! 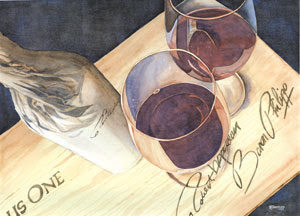 This is a piece I painted last February as a part of a four painting series of wine paintings. You can see the others on my website in the Still Life Section of my gallery. Stay well and safe and have a healthy and prosperous new year. Thanks so much for visiting!